Many veterans don’t have access to the health care services they need, making it difficult to seek proper treatment. You can help veterans obtain the services they need by making a monetary donation or by donating your used clothes, furniture and other household items. The donation process is simple, fast and secure, and your car donation will help us to provide critical support services for our defenders of freedom in their time of need. Call toll free today at 1-800-Help-Vets (435-7838) or use our easy online donation form to schedule your free towing. 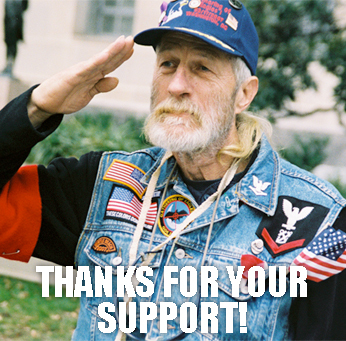 Join the thousands of other satisfied car donors who have already helped our veterans. Please put items out and label it for Vietnam Veterans of America or VVA, where it is clearly visible. The driver will look for your donation from the street. Thank you!